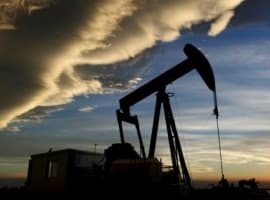 Oil prices crashed on Thursday before bouncing back in trading on Friday, suggesting that the crash was due more to a technical selloff rather than disappointing fundamentals. Oil prices crashed on Thursday, erasing all the gains made since the OPEC deal was announced, with WTI and Brent dropping to six-month lows. Fears over persistent oversupply, a renewed glut for refined fuels, and the inadequately slow pace of adjustment stemming from the OPEC cuts all forced a selloff. Major oil benchmarks lost 5 percent on Thursday, but have since seen a bounce back as hedge funds have now dumped all long positions. Although the drop in prices underscores the poor market fundamentals, the suddenness of the decline and quick recovery bears all the markers of a technical selloff. Hedge funds selling off oil futures. Plunging oil prices are at least in part attributable to the selloff in the futures market from hedge funds and other money managers. Reuters reported that famed hedge fund manager Pierre Andurand, who has been bullish on crude, liquidated his long positions on crude over the past week. The move highlights the growing bearishness for crude oil. OPEC likely to extend cuts. Three OPEC sources told Reuters on Thursday that the group is likely to extend its cuts for another six months when it meets later this month. But the sharp selloff in crude prices this week raises questions about whether that will even be enough. Still, deeper cuts are unlikely. U.S. offshore oil production still growing. Shale gets all of the attention, but production from the U.S. Gulf of Mexico is still on the rise. The Gulf of Mexico produced 1.76 million barrels per day in January and could add another 190,000 bpd by the end of the year. RBN Energy estimates that output will jump again next year by another 300,000 bpd. Offshore drilling is still a long-term, capital intensive proposition, but costs have come down with improved technology. Still, production gains are largely coming from projects planned years ago that are only now reaching fruition. 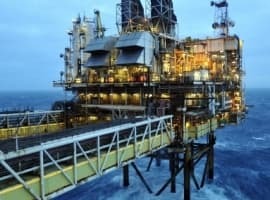 Oil majors’ profit reports continue. 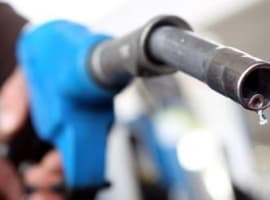 Royal Dutch Shell (NYSE: RDS.A) posted an impressive earnings report from the first quarter on Thursday, continuing a string of upbeat figures from the majors. Shell’s cash flow jumped 10-fold to $9.5 billion, high enough to cover spending, dividends and leave enough to chip away at its debt. The first quarter was the best for the majors in several years, and could signal a turnaround for the industry. Related: The Oil Crisis: An Ice Cream-Flavored Asteroid? FERC vacancies delay pipelines. The Trump administration has struggled to fill key posts across the government, including at the Federal Energy Regulatory Commission (FERC), which regulates pipelines. FERC is facing a backlog of $50 billion worth of proposed projects, including oil and gas pipelines, but regulatory approval will not be forthcoming until the commission can be properly staffed. “The lack of a quorum at FERC is an embarrassing debacle for the Trump administration,” Ethan Bellamy, a Denver-based managing director at investment firm Robert W. Baird & Co., told Bloomberg. “The leadership vacuum at FERC is holding up shovel-ready, privately funded infrastructure spending. We need those positions filled yesterday.” A handful of major gas pipelines out of the Marcellus Shale are included in the backlog, which could slow gas drilling in the region. Is The U.S. Oil Patch A Value Trap?